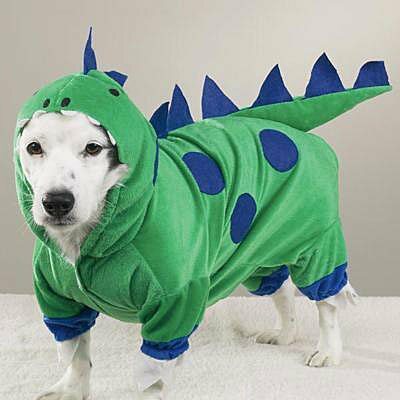 Highly-detailed, high-quality Dogzilla Dog Dinosaur Costumes are perfect for trick-or-treating, Halloween parties, or photos. All Halloween costumes for dogs feature Velcro® closures for easy-on/easy-off dressing and are available in an array of sizes to suit any dog. Wipe Clean with a damp cloth. Dogzilla Dinosaur Costumes are available in the sizes listed below.